Top Animation News is a weekly column that rounds up the biggest, best and breaking stories from the animation industry. This edition covers January 25 to February 1, 2019. The 46th annual Annie Awards kick off tomorrow (Saturday, February 2) at 7:00pm PST at UCLA’s Royce Hall in Los Angeles, honouring the animation industry’s biggest achievements and best productions from the last year. Among the most notable nominees are Hilda, Bob’s Burgers and Big Mouth — all created in Toon Boom Storyboard Pro and Toon Boom Harmony. Can’t make it in-person? The ceremony will be streamed live via the Annie Awards website. From cutaway gags to combative chickens, Family Guy has cemented itself in Western culture since it premiered on January 31, 1999. In celebration of two decades of hilarity, series creator Seth MacFarlane tweeted, “Hey so Family Guy premiered 20 years ago today on Fox. After several cancellations, multiple time slots and a lawsuit from Carol Burnett, we somehow still exist! Here’s to still existing!” Family Guy is produced in Toon Boom 2D animation software. 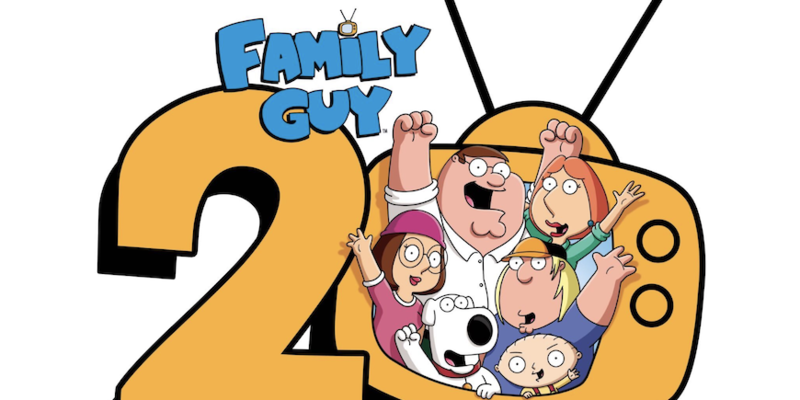 See fans’ reactions to Family Guy’s 20th anniversary on “Uproxxx”. Adult Swim announced the second season of its paranormal buddy-cop toon Hot Streets will launch on February 24 at midnight. Created by Brian Wysol (Robot Chicken, Rick and Morty) and produced by Stoopid Buddy Stoodios, its sophomore run will see agents Branski and French back to investigating the FBI’s weirdest cases — with Branski’s niece and her cowardly canine in tow. Hot Streets is produced in Toon Boom Harmony animation software. Investigate Adult Swim’s Hot Streets season two further on “Animation Magazine”. Oscar-winning producer Darla K. Anderson (Coco, Toy Story 3) has signed a multiyear overall deal with Netflix, which will see her develop and produce new animated and live-action films and television series. Prior to the move, she had been with Pixar for 25 years. As the Oscar-winning producer behind Coco, the first Hollywood feature film to have an entirely Latino and Mexican cast for both the English and Spanish-language versions, Netflix is looking to Anderson to help drive its inclusive and diverse storytelling initiatives globally. Make a move to “Variety” for more on Darla K. Anderson’s Netflix overall deal. Last November, SpongeBob SquarePants’ legendary creator Stephen Hillenburg passed away. In honour of his memory, fans of the series have created a Change.org petition requesting that halftime show headliners Maroon 5 sing the song “Sweet Victory” — and it already has nearly 1.2 million signatures to-date. The track originally appeared in a season two episode where SpongeBob belt it out at the Bubble Bowl. Submerge yourself in the SpongeBob SquarePants Super Bowl petition on “CNet”. Six up-and-coming artists have been selected for Cartoon Network Studios’ inaugural Storyboard Artist Training Program — a paid 12-week educational course that will expand their career opportunities. Marcy Bones, Miranda Harmon, Christine Le, Alabaster Pizzo, Jazzlyn Weaver and Brigitte Woltjen were chosen from over 2,000 submissions and will work alongside studio employees for firsthand television storyboarding experience starting February 4. Among their guest instructors will be Matt Burnett and Ben Levin (Craig of the Creek), Owen Dennis (Infinity Train), Julia Pott (Summer Camp Island) and JG Quintel (Close Enough), among others. Read all the Cartoon Network Storyboard Artists Training Program finalists’ bios on “Deadline”. Co-directed by Gustavo Steinberg, Gabriel Bitar and André Catoto, Tito and the Birds is the latest Brazilian animation feature to receive international acclaim — and will be playing in select major US cities as of February 1. The film follows the titular character as he tries to cure the world from a disease of fear. Steinberg delves into the Tito and the Birds’ production process, including his team’s incredible use of Toon Boom Harmony animation software. Land on the Tito and the Birds details on “Animation World Network”. The British Academy Film Awards’ (BAFTAs) nominated animated short films this year include a range of styles and stories — spanning Expressionism to small-town Texas to broken friendships. 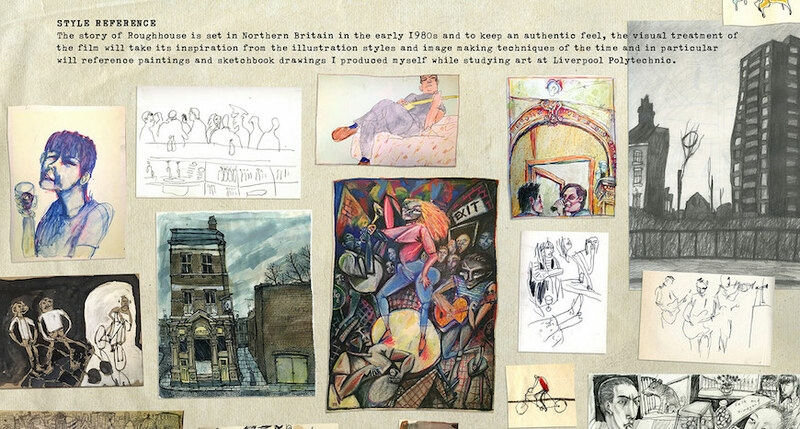 Notably, this year’s batch are all hand-drawn, which has never happened in the 21st Century. Fortunately for 2D animation fans, the creators behind I’m OK, Marfa and Roughhouse go into the visual development behind their amazing art. Check out the BAFTAs 2019 animated shorts’ visual development on “Cartoon Brew”. Playmates Toys will be the global master toy partner for Guru Studio’s upcoming preschool 52 x 11-minute series Pikwik. The deal will include figures, play-sets, vehicles, plush and role-play items in all global markets except China. Pikwik will air on Disney Junior in the US, Australia/New Zealand, Korea and India, and has a second agreement with American streamer Hulu; it is being produced in Toon Boom Storyboard Pro and Harmony animation software. ‘Toon’ into all the Guru Studio Pikwik toy details on on “Kidscreen”. Ottawa-based 2D animation studio Mercury Filmworks announced Heath Kenny would be its new chief content officer this week. He had previously been a creative executive with Gaumont Animation. Based in Paris, Kenny will work with Mercury Filmworks’ leadership to identify and develop original properties, and secure financing and green-lighting productions. Find out more about Heath Kenny joining Mercury Filmworks on “Animation Xpress”.